Does your marketing strategy comprise of branding, advertising & promotions, social media presence for conversions? But, what about content marketing? ‘Content is King’ holds all the truth when it comes to building perfect marketing strategy for your business. Just think through this: content is everywhere and in all possible forms. Then, how can it not help you bring in better leads and higher sales?! In this blog post we will emphasise on the elements that help increase conversions! If you are writing mere basic content in the form of blogs then, getting conversions as per your expectations may seem too far-fetched. However, technology is advancing every minute and so are the search engines’ content indexing criteria. By merging your creative writing skills with SEO. This merger will eventually result in your business topping the search engine lists of good content to read, thus bringing in quality reads and conversions. You can check out our expert article on how to write quality blogs that are optimised. In this fast paced and constantly evolving digital world, average attention of an internet user is just 8 seconds as compared to 12 seconds in 2000. Another statistics worth highlighting are: 67% people skim through content than reading it and 91% read image captions for relativity. These insights make the thought ‘Images speak louder than words’ literally stand out. Content explained in the form of an infographic or other relevant and related images? We are sure most of you naturally would be inclined towards option ‘b’. This is an obvious choice as; images not only provide reading convenience but also reflects the hygiene of the blog. Blog covers, memes, infographics, gifs are some of the ways you can showcase your content creatively and more effectively. A classic example of making wise use of catchy images is blogs and emailers. Pick up any promotional emailer from your inbox or visit any blog site, you’ll find marketers toying around with vivid images to grab eyeballs and educate readers. So, if you want readers to repeatedly land on your content and further convert into avid users then, using catchy image sis the key! Call-to-Action buttons are intent magnifiers. They tell the readers what exactly they are supposed to do and in what point in time. Personalised ones: “Download Free Instagram For Business E-book”, “Grow your business in just 7 steps now” and more. Don’t just see the length of each CTA above, also observe the context, tone and compulsion it projects. Make the most of these findings and start converting visitors to users the compelling CTA way! By comprehensive voice we mean the tonality of the text, your choice of words, how actionable is your content and so on. Conducting your content in a graceful voice is important to make sure that it is read in the way it is intended to be written. As per the trends we have been observing recently, writing actionable content triggers urgency and empathy in the minds of the readers. By drafting content which is on-point assures that things will move faster. Hence, in this case, conversions will take place faster. Remember to concise, to the point, crisp and actionable with your language and words you use to impact and inspire masses. It wouldn’t be wrong to say that this point is a mix of all the three mentioned above and the rest as well. Creative presentation is basically the overall look, feel and presence of your content. Are all the colors, typography, text positions, image layout, background, theme and so on is the correct order and place? As small or basic the above elements may seem, but together they can make or break your content. 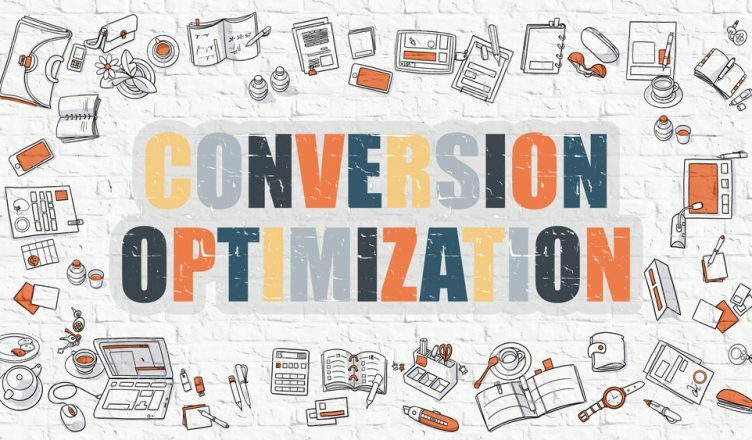 Beware, conversions are your priority and hence having your creative presence in all good shape and form is of utmost importance. Let’s sum up: Whether you are small or a big business, content is important for conversions. However, laying it well is all the more important to draw maximum attention. With all the marketing efforts for your business in place, it’s a good idea to have an all-in-one payment solution in place as well. Be a part of PayUmoney family to enjoy the best payment gateway experience. Grow your business effortlessly!